Yes, “time is money.” For e-commerce companies shipping packages to customers, weight is money as well. Generally, the heavier the carton, the more it costs to ship. Digging a bit deeper, this is commonly known in the transportation industry as Dimensional Weight or DIM weight. DIM weight is a pricing technique used by shippers in which the SIZE of the box is correlated to its WEIGHT or conversely, the WEIGHT of the box is correlated to its SIZE. In either case, the carrier has pricing algorithms that allow for heavier boxes to be priced one way and bigger boxes to be priced another. To avoid higher shipping costs, you should strive to reduce your package’s weight and size as much as possible. However, while you want to keep your shipping costs down, you also need to ensure that your product arrives undamaged. That typically means more packing material and more weight. Fortunately, there are steps you can take to achieve both goals: lightweight packaging and adequate protection. Pack your goods in corrugated cartons. Not only is corrugated packaging stronger than regular cardboard, it is light as well, thanks to its clever three-layer design that effectively produces air-filled pockets between the outer and inner layers. Use lightweight packing material. While there are many types of packing material that will hold a product securely in place within a shipping carton, some options are lighter than others. For example, air pillows are nearly weightless but provide effective cushioning. Packing peanuts and bubble wrap are very lightweight as well. Have a custom carton designed. The more precisely a shipping carton matches the shape and size of the item you are shipping, the less packing material will be needed. If you ship a particular product on a regular basis, the expense of having a custom carton designed and manufactured may very quickly be offset by savings in shipping costs. Use foam inserts. Foam inserts designed to fit the shape of your product and cradle it within the shipping carton are very strong and lightweight. Use water-activated tape. You might not think of tape as adding much weight to a package. However, when strip upon strip of plastic pressure-sensitive tape must be used to securely seal a package, it is possible for the cumulative weight to push a package up into the next cost category. Water-activated tape (WAT), also known as paper tape, gummed tape, or Kraft paper tape, creates a strong, tamper-evident seal with just one strip from water-activated tape dispenser. While cost savings may be the primary reason for revisiting your packing processes, there are other advantages as well. For example, reducing package weights reduces the strain on anyone on your team who has to handle those cartons, as well as the shipper’s package handlers. While it may be just a few ounces here and there, over time, it can make a difference. Your customers surely appreciate lighter packages as well. There are also environmental advantages to lightweight packaging. Although ideally your packing materials are recyclable, not all consumers will recycle them. Consequently, by lowering the volume of packing materials you use, you are decreasing the amount of waste that ends up in landfills. And, that fact is worth sharing with your current and prospective customers. Companies that adopt lightweight packaging practices find that the ounces and pennies saved very quickly turn into pounds and dollars. 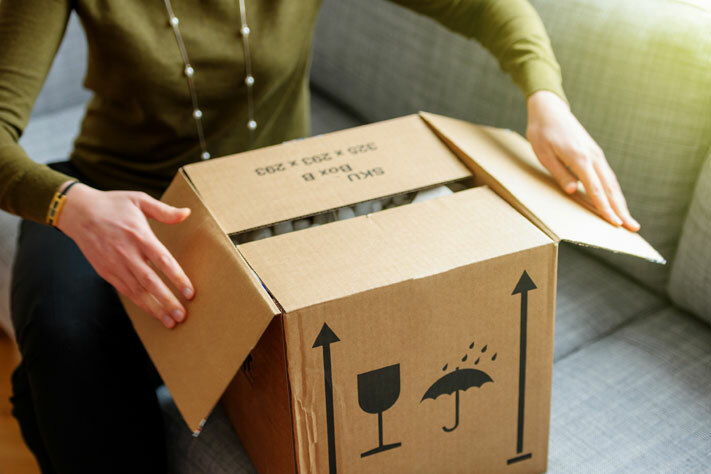 If your company, like most, is looking to reduce costs while maintaining high customer satisfaction, the time and money spent on updating your packing supplies and revising your practices can produce a very positive return on your investment. If you have questions about our water-activated tape, water-activated tape dispensers and other products, please contact us at your convenience.